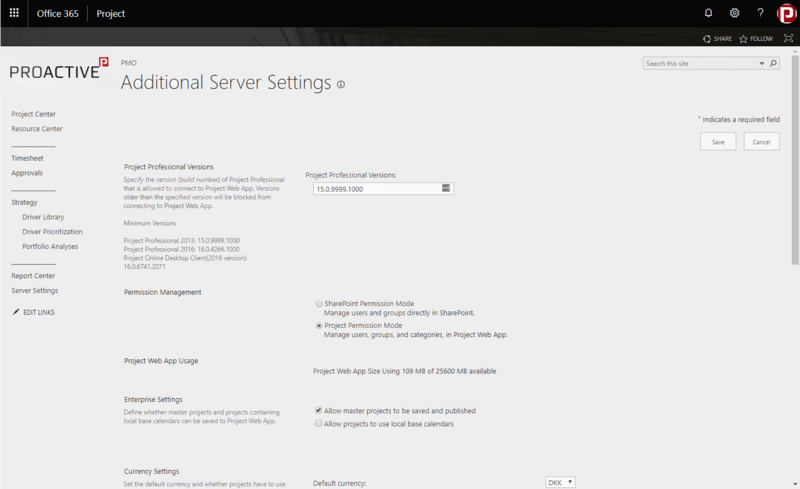 Microsoft has started to update some Project Online environments. Now as Administrator of the PWA you will be able to change the Permission Mode that you want to use. Before only Tenant Administrators could do that. Be extra careful trying to change the permission in Production Environment from Project Mode to SharePoint Mode. By changing to a SharePoint Mode you will lose all configurations made for groups and categories and will be necessary do it again.